Scientists have been harping on about the health benefits of dark chocolate for years! Guess what?? I'm believing it's all true and so should you! I'm saying it's music to my ears, food for my soul. I've decided to do a little research and capture a few of the good things about dark chocolate that will surely benefit your life..perhaps change it! I came across this quote that instantly resonates with me, do you feel the same? There are two products to consider here, dark chocolate and pure cacao powder, both are elixirs to our health. If you are super strict about what you eat and what goes into your body, raw cacao powder is for you. I absolutely love it, but I love dark chocolate too, so it's both for me! Later on, I'll talk about a delicious raw hot chocolate I love to indulge in, especially in winter. I'm not going to lie, there isn't a lot of spare time these days, which I know we all can relate, so I went directly to Pinterest to do my research. Firstly, there are some nutritional facts that show it's jam packed with goodness. Dark chocolate contains key vitamins and minerals including Magnesium, Iron, Copper, Selenium, Phosphorus, Potassium and Fibre. IMPROVES BLOOD FLOW ~ the flavanols in dark chocolate help arteries relax, improving bllod flow and preventing blood clots. LOWERS RISK OF HEART DISEASE ~ compunds in dark chocolate fight against chlesterol, lowering risk of heart disease, stroke and heart failure. IMPROVES BRAIN FUNCTION (oooh I love this one) ~ dark chocolate increases blood flow to the brain. HELPS PREVENT DIABETES ~ an Italian study focused on 15 patients who ate approximately 3 ounces of dark chocolate daily for 15 days found their insulin resistance was lowered significantly. 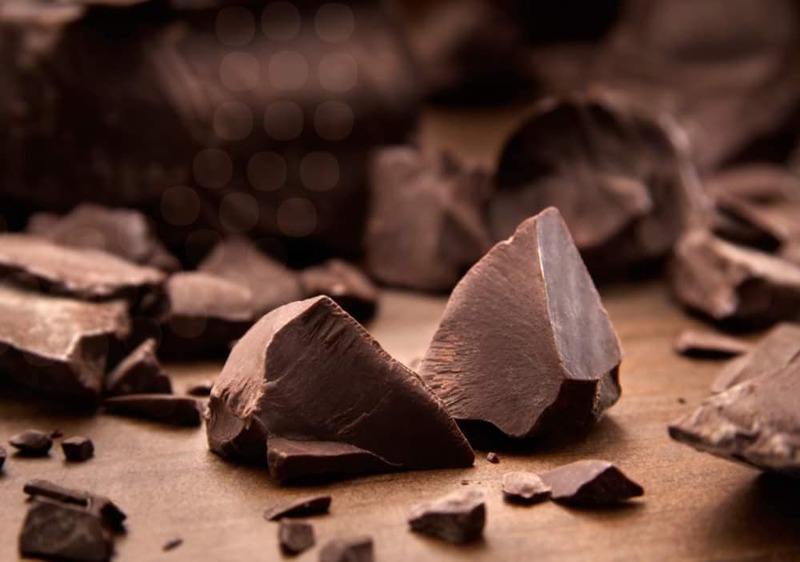 REDUCES STRESS ~ eating dark chocolate produces stress busting endorphins. MAKES YOU HAPPY & HELPS FIGHT FATIGUE ~ dark chocolate enhances the actions of the transmitters in your brain, like Serotonin, to help regulate mood & sleep. It also enhances endorphin production, which creates feelings of happiness and pleasure. GOOD FOR YOUR TEETH ~ dark chocolate contains theobromine, which has been proven to harden tooth enamel. IMPROVES GASTROINTESTINAL FLORA ~ dark chocolate is a probiotic food. ANTI-OXIDANT FUELED ~ One study has shown that cacao and dark chocolate contained more antioxidant activity, polyphenols and flavanols than other fruits they tested, that included blueberries and Acai berries. LAST BUT NOT LEAST - WEIGHT LOSS! ~ dark chocolate is full of MUFAs (mono-unsaturated fatty acids) and studies show eating diets high in these healthy fats can rev up your metabolism to burn fat and calories. It may also help in curbing cravings for salt and unhealthy food choices. So the dark side is calling!! Many of you are all ready lovers of dark chocolate, but I know there are some of you out there that are hesitant to to switch to dark chocolate. I hope this entices you, I mean, all those health benefits, surely they are pretty attractive. The dark side is not all bleak after all, in fact, it's fun and good for you to live on the dark side! 1. Combine the cacao with a little of the hot water into a paste. 2. In a small saucepan, combine paste and remaining ingredients. 3. Bring to boil and simmer for a further 3-5 minutes. 4. Pour into your favourite huggable mug, leave a cinnamon stick in it. 5. Enjoy and absorb all the benefits. Stay tuned for more dark chocolate recipe blogs, I have so many and would love to share them with you. Oh and before I sign off, I wanted to mention, I am a chocolatier enthusiast and have a small range of dark chocolate products that I handcraft in small batches. Check out the the link below. So there you have it, dark chocolate is not all doom and gloom as some of you may have thought, so I welcome you the the DARK SIDE to reap the POWERS of dark chocolate.